Always wanted the feel of single family living but an association to take care of your lawn/snow removal? 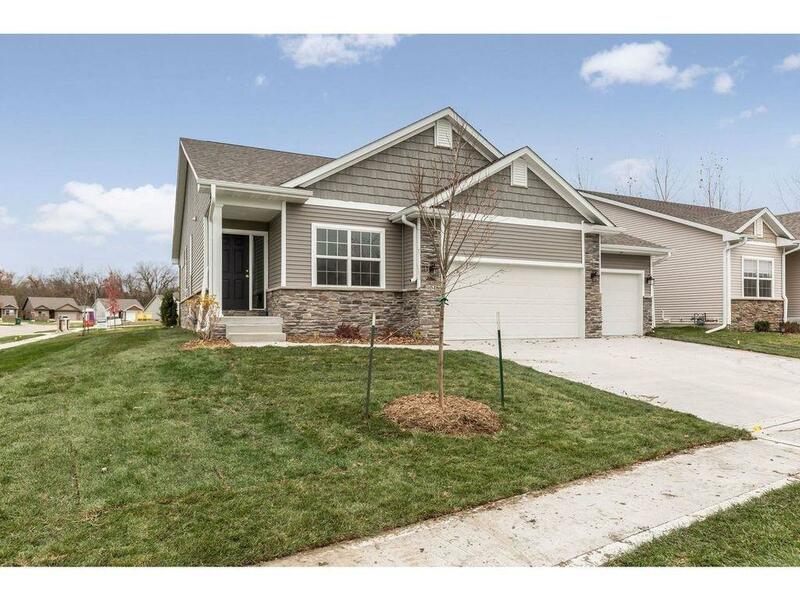 A hop, skip & a jump to golf courses, lakes, walking trails, bike paths, campgrounds & within 10 minutes of Des Moines suburbs & surrounding area. Our Villa's are the new way of townhome living w/no attachment to neighbor. We offer single family ranch plans with 2/3 car garages, great curb appeal, covered porches & stepping inside to beautiful Quality features such as engineered hardwood floors, high ceilings, Large dining area, inviting family RM w/soaring fireplace, eating bar area, main level laundry & tiled baths. Model unit f/sale and 20+lots to choose from. Ask about our Smart Home features. St Andrews plan with beautiful white cabinets and soaring stone fireplace. The basement will be finished with 960 sq ft of living space. The finish will feature 2 bedrooms, a full bath, great family room space and awesome storage.